Donald Trump said meeting was a waste of time. 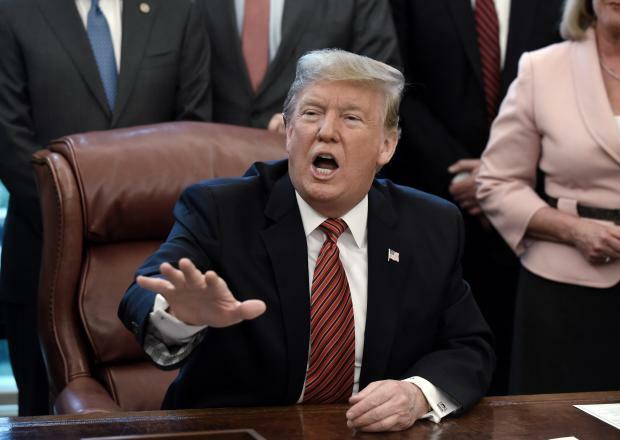 Updated - adds reactions, video - President Donald Trump said "bye-bye" and stormed out of negotiations Wednesday on funding a US-Mexico border wall when Democratic opponents refused to agree to the project. 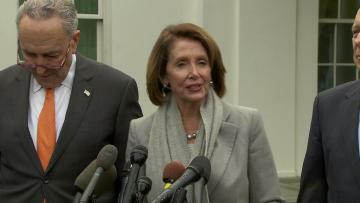 Democrats insist they will not lift their opposition to the wall project, and believe Americans will tire of the shutdown chaos and blame Trump. Earlier at the White House, Trump told journalists that if he cannot get his way, he could declare a national emergency -- a measure that allows him to bypass Congress and take the wall funds he needs from the military. Speaking at a swearing-in ceremony for members of the Congressional Hispanic Caucus later on Wednesday, Schumer insisted: "The symbol of America should continue to be the statue of Liberty and not a 30-foot wall." And Pelosi said finding a solution for "Dreamers" -- undocumented immigrants who arrived in the United States as children -- would be a "high priority." Trump in 2017 ended the Obama-era program protecting them from deportation. On Thursday, he will fly to the southern border that he described in a prime-time television speech Tuesday as an open door to murderers and other criminals. But Schumer scoffed: "I don't think he persuaded a soul with his talk last night. It was same old same old -- mistruths, divisiveness. Didn't have the effect he had hoped."